M&S Parking: Is parking in NYC about to get a little easier? Is parking in NYC about to get a little easier? The New York City Council Transportation Committee met last week to discuss three new bills that would make parking in NY a little easier for residents. The bills would make it easier for vehicles to stand near a school or day care, require the DOT to post permanent signs when they change parking regulations, and allow homeowner to park in front of their own driveways. The DOT is not supporting the bill changing the standing rules near schools, citing safety reasons, nor the bill requiring extra signage for new parking regulations. Kate Slevin, the New York City Department of Transportation Assistant Commissioner, believes the new signs would “essentially double the workload" of her staff and increase costs, and that the bills collectively could offer "blanket forgiveness" for numerous parking violations. 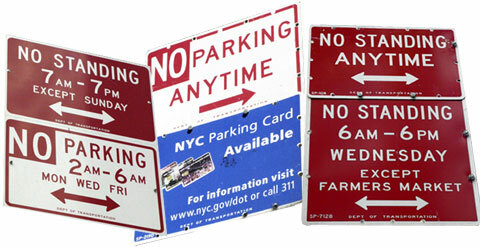 The City Council also battled with the DOT over new price increases in NYC municipal parking lots. Councilman Jimmy Vacca, stated the City Council never approved any rate increase, and argued in favor or more control by the Council over rates. Slevin countered by saying new municipal parking lot rates were going into effect in February 2013.